Sergeant Obotie Adesuwa has been arrested by officers of the X-Squad Section of the Lagos State Police Command after she allegedly sold a newborn baby boy brought to the station with his mentally unstable mother. Adesuwa who hailed from Benin city in Edo State was on duty at Akinpelu Police Division in Oshodi Lagos in the last week of September when a Good Samaritan brought a newborn baby boy and his mother to the station from a psychiatric hospital. It was learnt that Adesuwa, who was on duty, had received the baby. She allegedly failed to record the incident in the crime diary of the day on that fateful evening. She later took the baby and his mother to an undisclosed location where she handed the baby to a relative who sold him to a couple in Port Harcourt. The mother was taken to a bus station and handed N500 to take the bus home. The bubble burst when the mentally unstable woman suddenly returned to the station on November 9 2015 to ask for her baby which resulted in a physical fight. 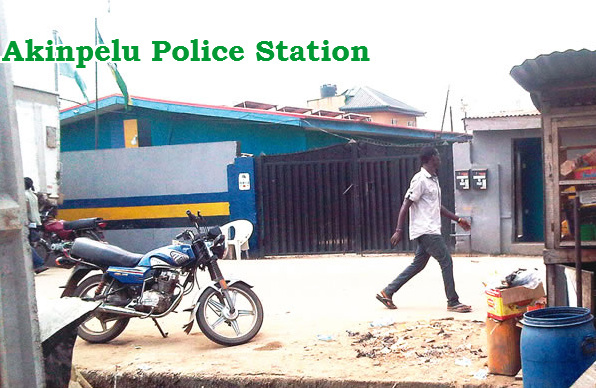 “The DPO was later informed, and took all of them to the Area Commander, and then the female sergeant was arrested and taken to the Area F command, Ikeja, from where she was later transferred to the X-Squad Section. The baby has now been recovered. All those involved in the sale and transportation of the innocent baby boy have been arrested.